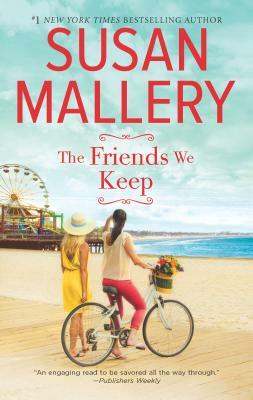 In this insightful and compelling story from book club favorite Susan Mallery, three close friends test the boundaries of how much a woman can give before she has nothing left. After five years as a stay-at-home mom, Gabby Schaefer can't wait to return to work. No demanding toddlers, no stepdaughter throwing a tantrum. But when her plans are derailed by some shocking news and her husband's crushing expectations, Gabby must fight for the right to have a life of her own. Getting pregnant is easy for Hayley Batchelor. Staying pregnant is the hard part. Her husband is frantic about the threat to her health, but to Hayley, a woman who was born to be a mom should risk everything to fulfill her destiny--no matter how high the cost. Nicole Lord is still shell-shocked by a divorce that wasn't as painful as it should've been. Other than the son they share, her ex-husband left barely a ripple in her life. A great new guy tempts her to believe maybe the second time's the charm...but how can she trust herself to recognize true love?